Uuni Founder Kristian Tapaninaho first created smartly reinvented wood-fired pizza ovens back in 2011, when he wanted to take his made-at-home pizzas to the next (easier and tastier) level. His latest oven, The Uuni Pro, is a brawnier iteration of that same sleek, super-fast design. 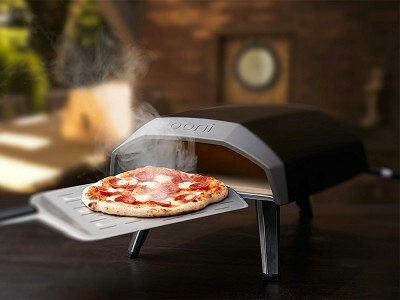 This multi-fuel oven heats up to 932 degrees in 20 minutes and cooks a larger pizza in just one minute. (One minute to pizza time? Yes, please.) This stainless steel oven is sized to cook a variety of high temperature dishes, like casseroles, meats, roast veggies, and even loaves of bread. And it runs on charcoal, wood, or wood pellets. We’ve been fans of Uuni’s deliciously fast pizzas from the get-go, and we think foodies, hosts, and even culinary beginners will appreciate how this updated oven elevates even the simplest backyard meal. Protect your outdoor oven from the elements (once it’s cooled, of course). Hi Grommeteers! We are so excited to be launching our Uuni Wood Fired Pizza Oven on the Grommet. You'll love the pizzas you can make in a flash. Please let me know if you have any questions! I am in Costa Rica, if I can't get those wood pellets what else can be used for fuel? Uuni was designed to be used with pellets which burn at optimum temperatures of 500°C / 932°F. It is possible to use wood chips and smaller pieces of wood to light the Uuni. However, they will burn at a lower temperature and you will need to refuel more regularly than with wood pellets. I hope that this has helped to answer your question. Sounds good, Nathaniel. We recommend that you go for hardwood pellets as they will burn at a high temperate and at a slow rate. Perhaps you can ask the good people at the Grommet if they can begin to carry pellets? What size pizza (or veggie pan) will this accommodate? 13 ¼" x 13 ½"
The Stone is made of solid cordierite stone and will work great in your kitchen oven too! I hope that this information is useful, DeLacy. 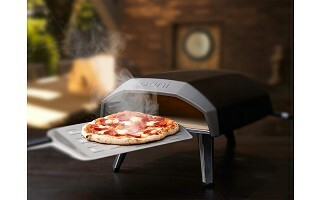 Can the Uuni pizza oven be used to bake frozen pizza? The Uuni's high temperatures are perfect for cooking authentic neapolitan pizzas in just 60 seconds. Uuni's adjustable Hopper will allow you to cook your dishes at a lower temperature. However, we find that the Uuni is best for anything that enjoys a fast cooking time. Some of Uuni HQ's favourites include pizza, steak, fish and vegetables. I love this...do you make the oven in a bigger size, or maybe one that can bake 2 stones at a time (one with a shelf?). Where do I buy the wood pellets? Thank you very much for your questions and for your kind words about Uuni - we love it too! Uuni is the world's first portable wood-fired oven and can heat up to 500°C / 932°C in just 10 minutes. Because the Uuni can make a 13" pizza in just 60 seconds, we feel that it is the perfect size. The Uuni runs on wood pellets which are widely available. I hope that this helps to answer your questions, Stephanie. Happy Uuni-ing! How long is cool down phase. The Uuni heats up to 500°C / 932°F in just 10 minutes and, based on our extensive experience, takes approximately 45 minutes to cool down. However, this could be shorter based on the number of pellets in the Grate when you have finished cooking and the ambient air temperature. I hope that this answers your question, ET! In your picture it looks like it is sitting on a wooden table. Is that safe? The Uuni heats to 500°C / 932°F. However, no heat transfers through the legs to the table. There is some radiant heat beneath the Uuni but it is perfectly safe to place the Uuni on a wooden table. Most Uuni owners, including ourselves, use a wooden picnic table. Others use slate or wooden tiles, or simply place it on a BBQ stand or island. What about of grease splatter from meats - how would clean-up work? There is no real need to clean your Uuni as the high temperatures will burn off any leftover food on there. Any excess food will burn away or can easily be brushed off when the Uuni has cooled. The Uuni is made of beautiful brushed stainless steel and can be wiped using regular wipes. We also have our Uuni Cover / Bag which will help to keep your Uuni looking great! I hope that this information helps, David. Besides pizza and vegetables, can other foods be baked in your oven? Is there a temperature gauge? Is there a container that collects drippings? What comes with the oven itself? A stone was mentioned, but the pictures appear to have a stainless steel looking tray. How can the oven be cleaned? The Uuni is perfect for anything that enjoys fast cooking times. As you have mentioned, pizza and vegetables are great in the Uuni. We love to cook steaks, cheeses and seafood in the Uuni...shellfish is particularly delicious, including scallops and king prawns. We have also cooked deserts and sweets at Uuni HQ! For any bread based dishes (for example pizzas, flatbreads etc), we recommend that you cook directly on the Stone. Meats, fish and vegetables are best in a cast iron pan. This ensures that no juices transfer from these foods to the Stone. Uuni Pizza peel - This is the 'tray' that you have referred to in your question. The Peel is used to add and remove food from the Uuni. The Uuni Pizza Peel is a perfect match for the 2S and fits neatly inside the oven itself for storage and portability. In order to clean your Uuni, you can wipe it down with a cloth or paper towel. The Stone Baking Board is also easily removable and any excess food can be brushed off. The Stone can be washed using warm soapy water. The Uuni does not come with a temperature gauge but after 10 minutes, it will reach 932°F. You can use a laser thermometer to check this. I hope that this information has helped to answer your questions, Teresa. Kind regards and happy Uuni-ing! Thank you. I have additional questions. How hot does the exterior get? Is assembly required? Building an Uuni is super easy and is a one off, simple process. You can find video instructions online and there will be a step by step guide in your manual. The Uuni 2S comes boxed with most of the parts assembled and an Allen key is included to add the rest. It will take around 10 minutes from start to finish and you will be good to go! The Uuni has an inner part provides some insulation. Much like a regular barbecue, the Uuni is hot to touch but no heat transfers to the legs and any adjustable parts have wooden handles. What's the warranty? I've had other metal high-heat items (a backwoods stove) where over time the metal became warped and the item stopped functioning. How many heat-cool cycles have you done on a single unit? Uuni 2S is made of 100% high grade brushed stainless steel. When you register your Uuni 2S using the serial number on the side of the oven, we’ll extend your warranty to 2 years. We have a number of street food vendors in the UK who use their Uuni for 6 hours a day, 6 days a week. We have never had any complaints/returns from these vendors regarding warped parts. At Uuni HQ we have used single units hundreds of times and the Uuni just keeps on performing. I hope that this information helps, David! I don't cook pizza often, why not show vegi's and or other applications. 900 degrees is hot seems like no safety expressed as a concern inserting or removing food. I like the idea but don't want to buy and return, want to buy and enjoy, but need to see more. The Uuni is not just for pizza! We have cooked a wide variety of foods in the Uuni and regularly receive photographs of Uuni owner's creations from around the world. My current favourite non-pizza dish is lamb cutlets but I also love roasted red peppers and halloumi cheese in the Uuni...I am making myself hungry! The Uuni is fun, safe and hazard free when used as intended. A lot of families with young children have posted images of them enjoying the Uuni. The Uuni 2S comes with the Uuni Pizza Peel for adding and removing food so you will not need to reach in to the oven. The Uuni's wooden handles also ensure that you never need to touch any heated parts. 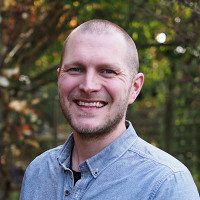 We have a lot of video resources and recipes available for you to check out and I will be more than happy to answer any other questions that you have. I am considering this over a traditional outdoor BBQ. Will their be any suggestions coming with the unit as to how to cook other foods? I can really do carbs, but I would love to have that available for my guests. Is the stone insert separate? I have one already but will need dimensions if the baking stone is something I will need to purchase. 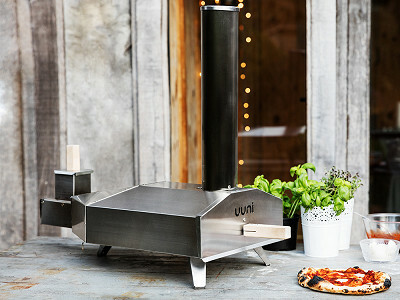 The Uuni is the world's first portable wood-fired oven and it is great for variety of foods. Burgers, steaks, seafood and delicious roasted vegetables taste fantastic when cooked in the 2S. Uuni owners have unlimited access to our support channels and we regularly update our recipes online. The Uuni Community is an extremely helpful, knowledgeable and friendly group who share resources, recipes and hints and tips online. The Stone Baking Board comes with the Uuni 2S and is and is custom-made from durable cordierite stone to quickly heat to the perfect temperature – an essential for the perfect wood-fired cooking! The Stone is removable and so you can use it in your kitchen oven too. I hope that this has answered your question, Nathaniel. What about hamburgers, specifically? Good or not good to cook with Uuni? Thanks! The Uuni is perfect for anything that enjoys a fast cooking time, including steaks and hamburgers. A lot of Uuni owners have posted pictures of hamburgers made in the Uuni and the feedback is always excellent. Thanks again for joining our conversation! 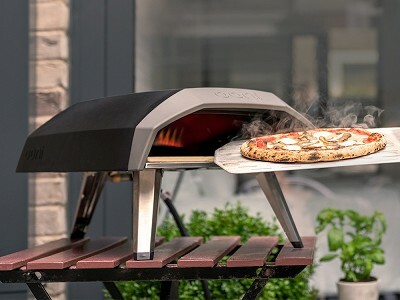 Can the pizza oven only be used outdoors? 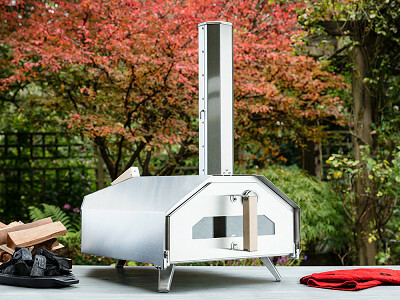 The Uuni is the world's first portable wood-fired oven and it was designed by Kristian for outdoor use only. The Uuni 2S is made of 100% high grade beautiful brushed stainless steel and it will make for a key feature in any outdoor space. The Uuni heats to 932°F in just 10 minutes so you won't need to be outside for long if you don't want to be! @Kevin Love the idea and want one...maybe I missed it but what are the dimensions of it and weight? IS shipping included in the price? Thank you for your question and kind words about Uuni - We love it too! @Kevin Hi! What's the wood pellet burn rate? In other words, how much pellet material would I need to plan to use for say a family dinner (4-5 pizzas)? The Uuni burns hardwood pellets at approximately 800g per hour. Based on that, 4-5 pizzas will use approximately 300g (this includes pellets required to get Uuni to temperature i.e. 10 minutes). I hope that this helps, Kimberly.